NB. I am experimenting with a different method of working with photographs (inserting URL’s from Google Photos). I have less control over their size but they appear to me to be more clear. Please let me know if you like these more or less! UPDATE. The experiment was a failure as most viewers were unable to see the big clear photos. So we are back to the old method. My apologies. We feel that we did some reasonably good planning for the house but when all was said and done we didn’t have a linen closet. 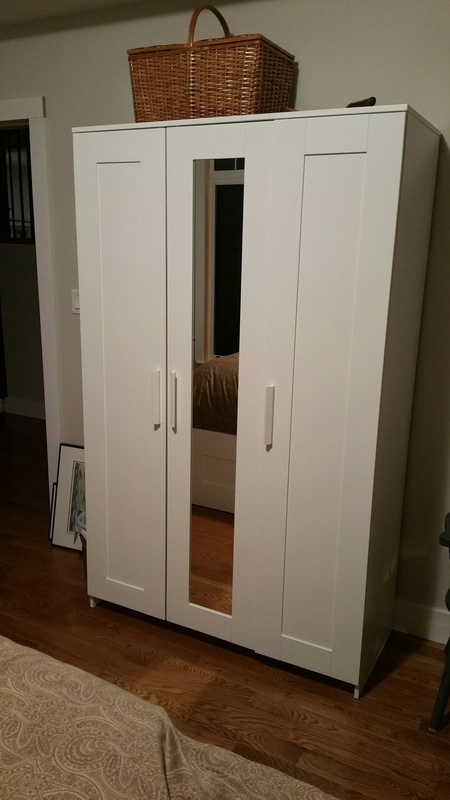 To partially make up for that, we bought an armoire for the master bedroom from Ikea. It was one of their less expensive models and proved to be quite a challenge to put together because of the cheaper parts. But it is looks OK and is doing the job required. 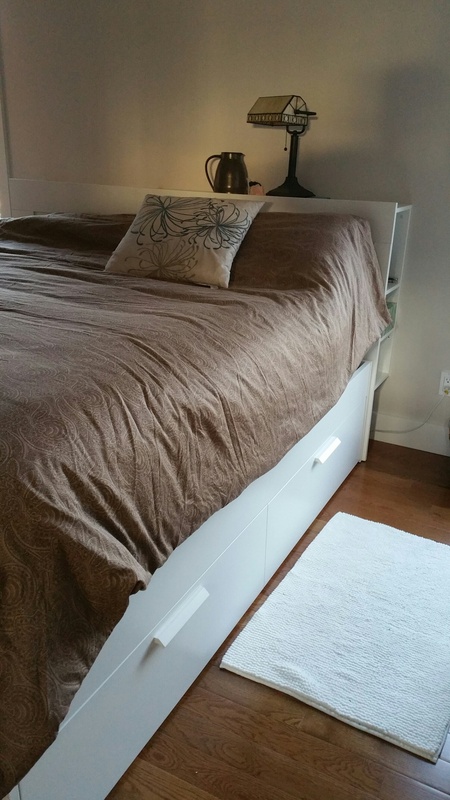 We gave away one of our beds in BC, rather than move it, and bought a new Ikea bed for the master bedroom. As another partial solution to our lack of a linen closet, we got one with drawers underneath. That model is somewhat notorious among the online Ikea user community for difficulty in putting together but, somewhat surprisingly, the two of us were able to put it together relatively quickly. 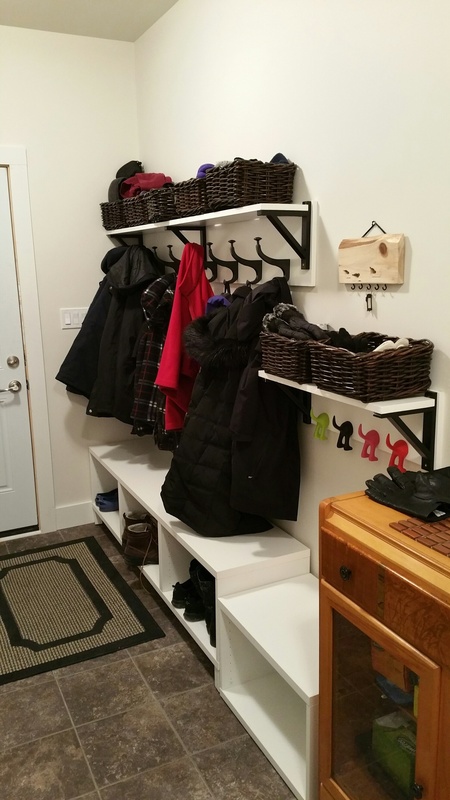 We left behind quite a few built-in shelves in the basement in BC, so needed to add more. 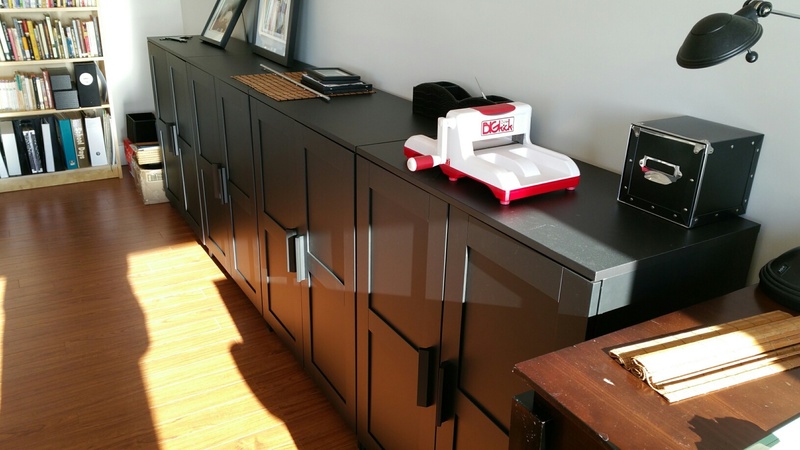 These black units with doors are for Sheila’s craft room and she put them all together quickly while I was teaching in Ottawa. This ‘bench’ for the back entry with boot/shoe boxes underneath was actually designed by Ikea as a TV wall cabinet. 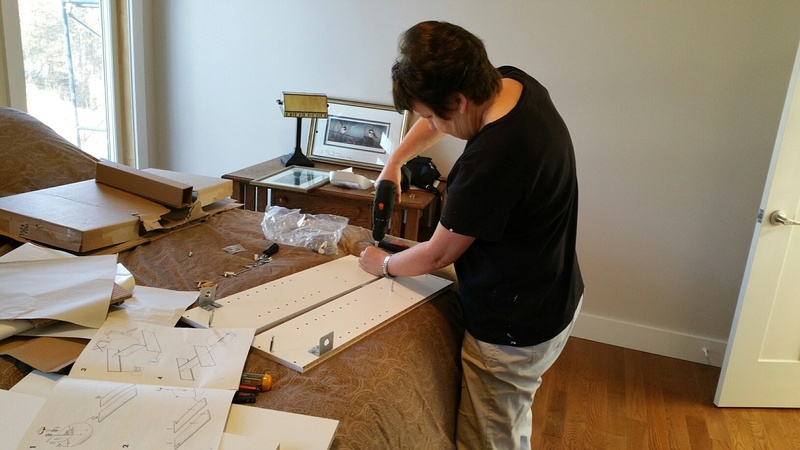 The Ikea queen busy with her set of instructions and cordless screwdriver. Always a delight to get your update. Unfortunately the pictures don’t seem to be coming through on this post. Perhaps those of us in the great masses don’t have permission to view them on the Google Drive? Thanks, Kevin, and sorry about that. The pictures looked so good in my version! I think that is the end of that experiment. At least until I learn more. I will redo this the old way. I had the same experience as Brinn. I can’t get the pics up my usual way (click on the little red x’s) but when I clicked on the title “Queen of Ikea” there they were- nice and clear too. I enjoyed your “Queen of Ikea” post. I couldn’t get the pictures on the original post, but they came up when I clicked on comments. I just read the other comments and found others had the same experience ?. Thanks for sharing!